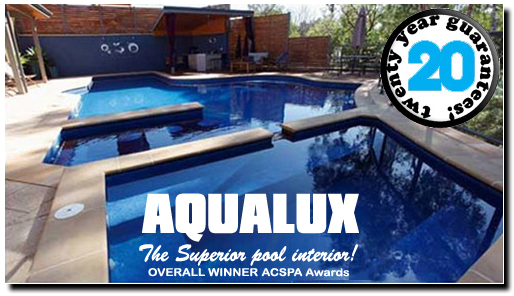 - the kindest, most kid friendly pool surface available! If you love your kids (and we all do), give them the best! An embossed, non-skid, low maintenance pool finish that will never scrape their knees or injure them, vacuum fitted to a 25 mpa High Density shotcrete concrete pool shell. With a Pool Shell life expectancy of FIFTY YEARS, and the Abgal life expectancy of TWENTY-FIVE YEARS or more you will never have concerns about big repair bills in the forseeable future! ..... WE KNOW THEY ARE GOOD! 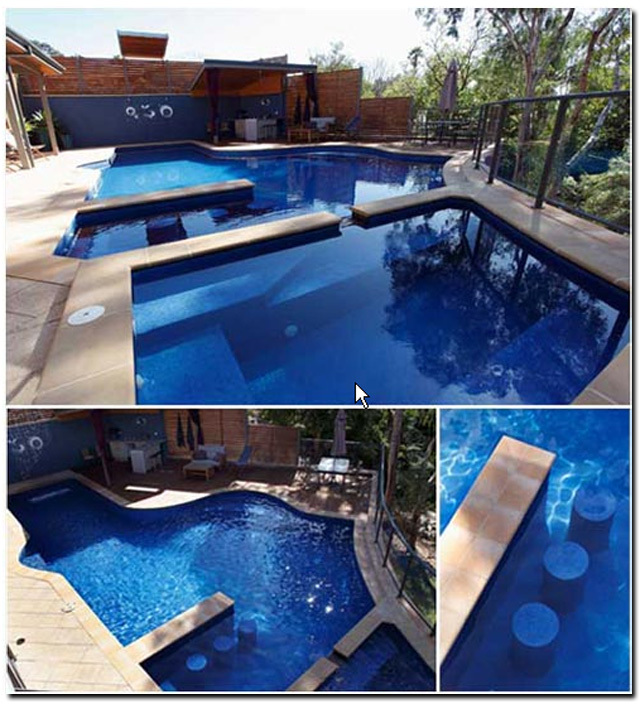 This pool (above) won the TOP PRIZE in Australia for a Residential Swimming Pool - complete with its AQUALUX interior!